This badge was issued to Valinda Kennedy on 15 Aug 2017. 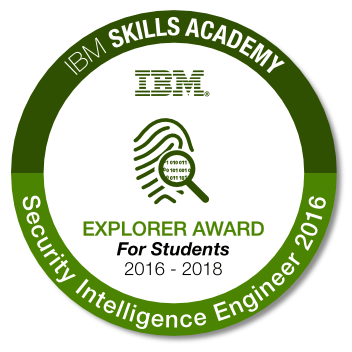 Through a faculty-led student education, this badge earner has demonstrated the ability to correlate events and flows from a variety of applications and devices, establish enterprise security rules, monitor policy compliance, and provide threat detection, using IBM QRadar SIEM. This individual has demonstrated an understanding of topics such as investigating offenses identified from events and flows, and create operational rules. Completion of Module I - Cyber Security Overview: Covering Status quo of IT Security ; and Security Intelligence and Operations. 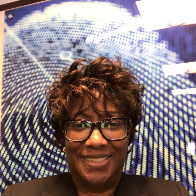 Completion of Module II - Security Intelligence Foundations: Covering Designing a Security Intelligence Solution; and Security Intelligence functional components. Completion of Module III - Security Intelligence Analyst: Covering Collecting and processing events, flows, and vulnerability data; Investigating an offense that is triggered by events; Investigating the events of an offense; Using asset profiles to investigate offenses; Investigating an offense that is triggered by flows; False positives overview; Investigating superflows; Using rules and building blocks; Creating SIEM reports; and Performing advanced filtering. Passing the Security Intelligence Analyst academic practice test.